Home Opinion Columns What’s in a name? My name is Najd Ayari. It’s the year 2018. We can unlock our phones by looking at them, have a conversation with someone in Japan while in Grand Rapids, and buy products from all over the world with a few keystrokes. However, with all of this universal mushing of cultures, we still discriminate against people with different names and backgrounds. During the summer 2018, I started working with The Collegiate as a multimedia editor. My job was to cover events and get interviews with artists and different kinds of people. I sent emails asking for interviews, but I didn’t get replies most of the time. I wondered why, when my co-worker Jake would send out the same kind of emails and get interviews. Reading more about this issue showed me that I am not the only one. 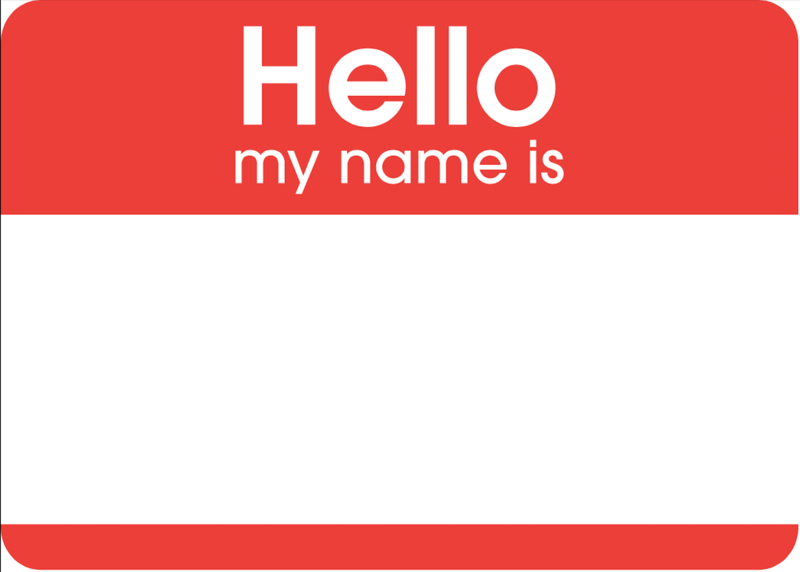 People with African American, Asian or Hispanic last names struggle with discrimination without even showing up in person. A study conducted in 2016 by Sonia K. Kang, assistant professor at the University of Toronto Mississauga, András Tilcsik, assistant professor at the University of Toronto and Sora Jun, a doctoral candidate at Stanford University, called “Whitened Résumés: Race and Self-Presentation in the Labor Market,” gives out data about how people with non-white backgrounds used the “whitened resume” to get more job interviews where people also added to their interests common western activities like hiking, camping and skiing. Also, a lot of foreigners changed their names to American-sounding names like David or Luke. I think that I can use Joey instead of Najd to increase the number of replies I get for internships or interviews. I was curious to see if this problem extended beyond my own experience, so I asked some of my friends with uncommon American names or last names. Carissa Ureña, 24, from Grand Rapids has faced similar situations regarding her name. However, not all answers were similar to my experience as was the case with Diane Pinto, 43, from New Jersey. Jalen Bibb, 25, a former GRCC student has an uncommon name, but he doesn’t describe it unique. “My name is becoming more common,” Bibb said. “I got my name from the basketball player Jalen Rose. It’s a combination of the name James and Leonard. My name is pretty neutral. It could’ve been a lot harder if it was Ja’quan or something more race revealing. Though Bibb hasn’t received different treatment based on his name, he has noticed online discrimination based on a person’s name. It’s confusing to me how people would think that I’m awkward, dangerous, incompetent or lazy just by reading my name. We all agree that judgment without a trial is unfair. It is also unfair to be judged through an email or resume. In our world today, due to how strongly we are connected through technology, people may live the same experiences in different continents. We became very open to a lot of cultures that it’s really difficult to fit people in a category and know what to expect based on their name or nationality.